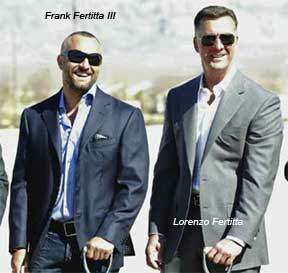 Mortgage information podcast today from Fine Las Vegas luxury homes. A discussion with Bill, a Las Vegas real estate agent, and Jason, home mortgage lender, with Countrywide Home Loans, a home mortgage company. 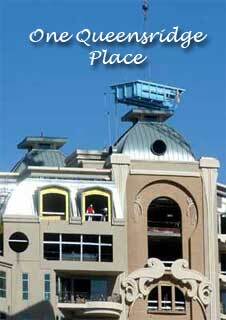 Would you like to learn the different ways of obtaining a home mortgage in Las Vegas? Here’s the information on home mortgage rates, mortgage refinancing and obtaining a mortgage loan from a mortgage lender. Station Casinos Las Vegas gaming company is accepting a buyout bid from Fertitta Colony Partners for $5.4 billion or $90 per share. This buyout also includes the repayment of $3.5 billion of debt, making the total real estate deal worth $8.8 billion. While a private equity group involving the founding family has increased its offer to take Station Casinos private, industry analysts say a follow-up bid that might drive the price higher is unlikely to come. Station has 30 business days remaining to solicit additional proposals from competing buyout bidders. The current bid is being placed by a private equity partnership involving Los Angeles-based Colony Capital and Station Casinos Chairman and CEO Frank Fertitta III, Lorenzo Fertitta, president, and their sister, Delise Sartini, and Blake her husband. One Queensridge Place real estate was the site of a pool lift on Feb. 16, 2007, as three tiled Las Vegas swimming pools were lifted into place on top of the Summerlin high-rise condos, which overlooks Boca Park Summerlin and The Village at Queensridge. The prefabricated swimming pools were raised to penthouse level at Queensridge Place’s penthouse as one of the Las Vegas luxury home’s crowning touches. These 5,000 pounds swimming pools were lifted 18 stories high into the air. The pools were built with benches to view the incredible views of the Las Vegas Strip and mountains. The pool orientation was crucial in order for perfect placement. Several upgrades were also placed in the swimming pools including stylish vanishing edge and deep relaxation spa-therapy jets. 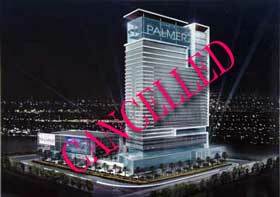 Charlie Palmer Las Vegas condo-hotel has been cancelled. The Golden Palm Las Vegas real estate owners have tried for the past seven years to redevelop the corner property at Dean Martin Drive and Tropicana. Golden Palm will close March 12, 2007 and will be sold April 5, 2007. Golden Palm real estate has been appraised in November 2006 for $46.6 million. Clark County has approved a future Las Vegas hotel for the property which stands 41 floors, 100,000 square feet of restaurants and shops and 560 rooms. The Las Vegas Land that this aging hotel sits on is on a small 3 acre island that makes redevelopment difficult. The Golden Palm sale is necessary because of the inability to find a joint venture partner and rising construction costs.